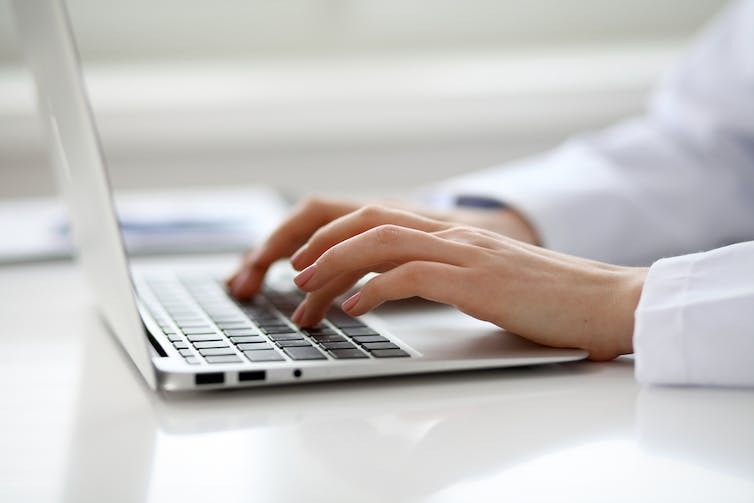 Information doctors find out about you online may affect your treatment. But not all of it is accurate or relevant. When we think about Google and health, we usually think about patients searching online for health information. 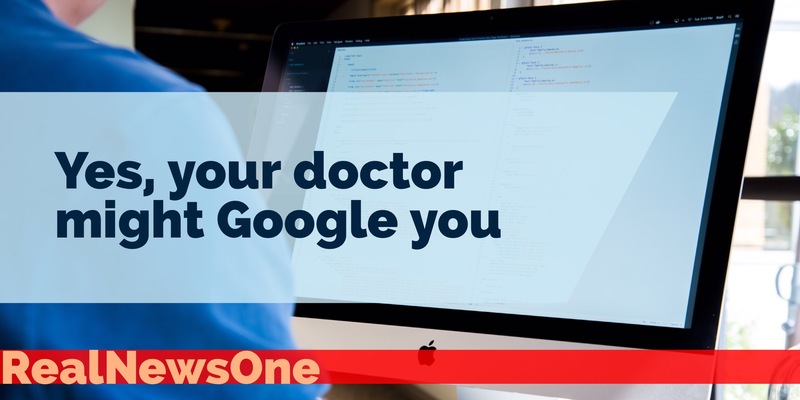 But you may be surprised that some doctors Google you. An Australian survey of how doctors use social media found about 16% (about one in six) had searched for online information about a patient, with roughly similar results from studies in the US and Canada. This raises several ethical concerns. For instance, what if your doctor’s search through your Facebook, blog or Twitter feeds revealed aspects about your lifestyle, like drug or alcohol use, you didn’t tell your doctor directly? What if that information influenced your access to surgery? Some doctors say they Google their patients to gather more information about them or to discover the “truth”. Armed with that information, they say they can better care for their patients and improve their health. For instance, a doctor may see a patient with depression’s online account of wanting to end his life as an opportunity to take action and prevent a bad outcome. Or a doctor may find out about adolescent high-risk behaviour they are not likely to talk about, like drug abuse or risky sexual behaviour, and see that as an opportunity to protect them from harm. Alternatively, some doctors Google their patients out of curiosity, voyeurism or simply habit. This raises the issue of when a legitimate professional concern tips over into behaviour that’s unnecessary and “creepy”. To Google or not is an issue doctors admit to grappling with. In an Australian survey, when doctors were asked if it was appropriate for doctors to look up publicly available information about a patient, almost 43% said no and around 40% were unsure. When a doctor searches online for information about a patient without consent, their role changes from someone who works with the patient to someone who observes and spies on them. From a patient’s viewpoint, this is likely to destroy trust between the two, as it shows a lack of respect. Patients can also be directly harmed when doctors act on information they find online. If a doctor sees an online photo of a patient waiting for a liver transplant drinking alcohol when they shouldn’t be, patients risk missing out on receiving a new liver. Then there’s the issue of whether the information is recent or relevant. In the case of the liver transplant dilemma, we might not know when the photo of the liver transplant patient was taken; it is not proof the patient is drinking now. Doctors, like the rest of us, also cannot be sure online information is accurate. For instance, more than 50% of adolescents admit posting false information on social media. Deciding to search for information about their patients online is not the end of the matter. Doctors also need to decide whether to admit Googling and whether to act on the information they find. Doctors are legally required under mandatory reporting laws to report information they have viewed relating to child abuse and neglect. But if they act on inaccurate information, that can harm the patient and others. If they don’t act on the information they find, they could be liable for not trying to protect the patient. In the end, doctors need to satisfy themselves that they have good reason to take action (or not take action) based on weighing up the likely benefits and harms. While there may be some justification for looking at patient information online when it relates to child safety, for adult patients, it’s a different matter. For adults, it would be easier and more respectful to just ask them. Regardless of any ethical concerns, how realistic is it for doctors to stop Googling their patients? Using Google is so common (globally, we use it to make 3.5 billion searches a day) that it has become the default way we find out information online. Many doctors also don’t think Googling a patient is an invasion of privacy. Patients should be aware that their doctor can see and use the information they put online. To safeguard their privacy, patients can adjust their privacy settings and be careful of what they post. Perhaps there should be policy on the need for doctors to be open about Googling their patients. And, before they act on any information, patients should have an opportunity to refute or explain that information. If this doesn’t happen, we will see an continual erosion of trust between doctor and patient.